Dont miss out on important Forex news, analysis and information, subscription is 100% free sign up today! Learn Forex trading here from beginner to advanced. to choosing the correct forex broker! position sizing to survive the markets. Forex trading for profit brings insights into the forex market along with technical and fundamental analysis. A focus on the Forex industry and how to trade the foreign exchange markets. Take your personal journey into the forex market as a retail trader and learn how the pro's do it. We are constaintly growing and becomming the most imformal souce of forex realated information around. We know how fustrating sifting though it all trying to find the right path. We aim to provide you with the best information and forex brokers. Forex signal services will be comming later so please sign up to be the first informed. We have also been named in the "TOP 100" forex trading blogs so join us while we are still 100% free. CADJPY since the memorable night on January 2/3 this year, when flash crash on pairs with Jen led to the setting of a 2-year minimum at 76.75, moves in an upward trend and last week set a maximum this year 82.235. Last week notations (chart above) formed a candle with a large upper wick indicating the rejection of an upward trend line drawn from 2016 and 2018 minimum. Analyzing the four-hour chart we will notice that the price is approaching the local trend line since the beginning of February this year and its overcoming may lead to further drops to the nearest demand level of 83.65. The level that if overcome may negate the bearish scenario is the mentioned rejected 3-year trend line last week. I’m just an ordinary guy with a family that wanted a way not to live freely and to do something I have passion for. I found that passion when I stumbled across forex a few years ago and endeavored to find a way to make it work for me. This has become my journey and my life and this is the way I trade. 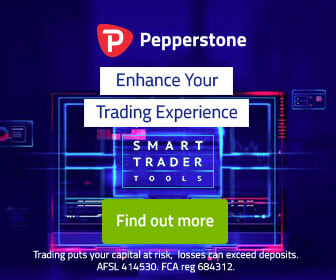 Trading forex is highly lucrative and gives you the highest return on your investment you can trade from anywhere in the world on your pc, laptop or phone. It gives you freedom and can bring the lifestyle of your choice. If you are new to forex and want to learn please go to the “new to forex” page to get started. Forex Technical analysis and chart talk, weekly set ups, support and resistant points. Technical analysis is the skill needed to interpret chart behavior to make rational speculation on price movement. It involves trend following momentum indicators and chart patterns.